Have you ever wondered what to do with the few little pieces of uncooked pie crust left over after trimming the dough off your pie or tart? 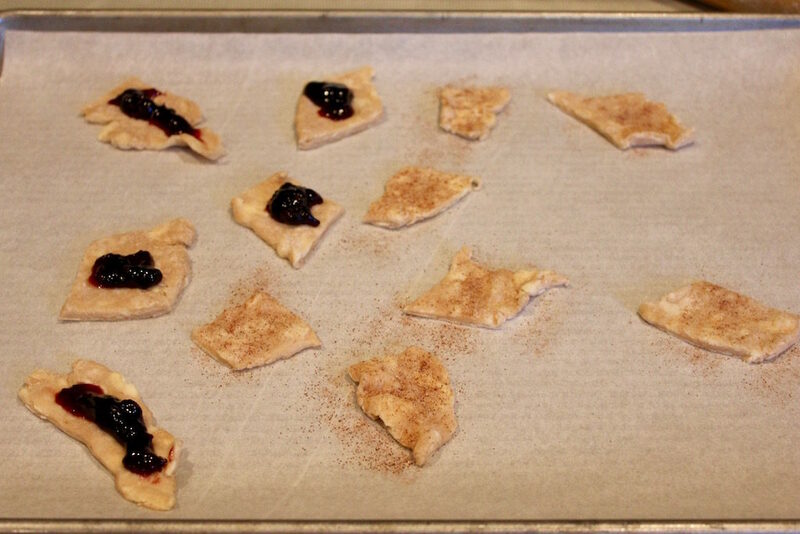 Take those scraps and make pie crust treats! Cut them into a pieces that can be devoured in a bit or two. Place on a parchment-lined baking sheet and top with a dollop of your favorite jelly or shake a little cinnamon and sugar on them. Bake in a preheated oven (350 degrees F) with your pie for about 15 minutes, or until golden brown. Remove, cool, make a cup of tea and reward yourself with these crispy, sweet delights! Here’s our recipe for basic pie crust.